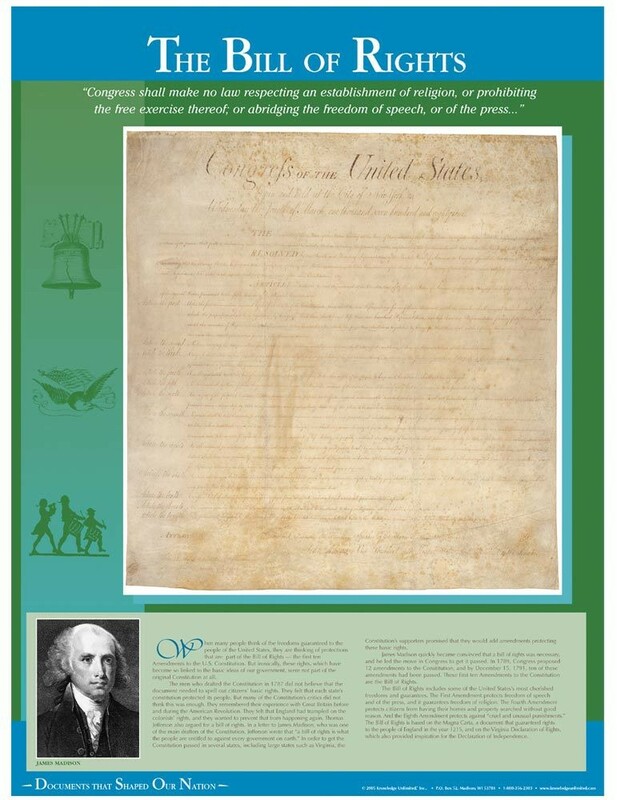 This educational poster features a large, striking image of the original Bill of Rights, along with an excerpted quote from the First Amendment, and a well-explained history of the document and how it came to be. When many people think about the U.S. Constitution, they actually are thinking about the Bill of Rights, which was not part of the original Constitution at all. The Bill of Rights, or first ten amendments to the Constitution, contains some of the most cherished freedoms guaranteed to Americans. 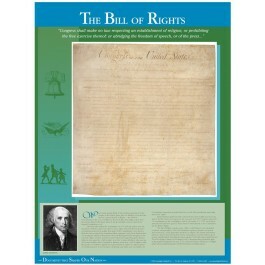 The Bill of Rights was passed in December 1791, more than four years after the Constitution was written.